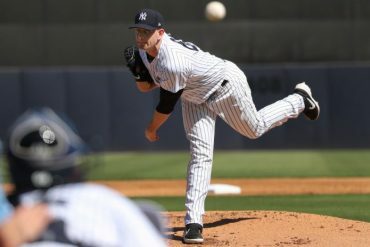 The Yankees opened their 2019 season with 7-2 win over the Baltimore Orioles, a team trying to find itself after a number of tough 2018 in-season moves and equally difficult Hot Stove decisions. Luke Voit’s three-run HR in the 1st inning quickly sent Baltimore’s season into despair. The Orioles were once the beasts of the American League from the mid-1960s through the early 1980s (and the AL East when division play started in 1969.). Future Hall of Fame members Frank Robinson, Brooks Robinson, Jim Palmer, Cal Ripken, and Eddie Murray and stars like Dave McNally, Boog Powell, Paul Blair, and Mark Belanger led the Orioles to World Series titles in 1966, 1970 and 1983. Legendary Hall of Fame manager Earl Weaver skippered the team to AL pennants in 1969, 1971, and 1979 and made it to the ALCS in 1973 – 1974. Even if they didn’t win the division or pennant, the Orioles were always in contention. After the team experienced a downturn from the mid-1980s to the early-1990s, the Orioles rebounded later in the decade. 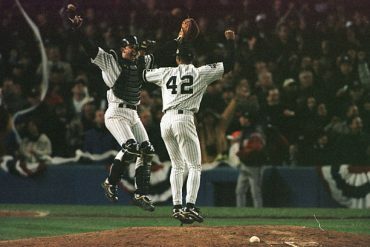 Though they lost to the Yankees and Indians, the team reached the ALCS in 1996 and 1997. In addition to Ripken, the roster included future Hall of Fame members Mike Mussina, Roberto Alomar, and Harold Baines. A dreadful period followed until the Orioles returned to the playoffs under manager Buck Showalter in 2012 (losing to the Yankees in the Division Series). They reached the ALCS in 2014 and just three years ago they were a Wild Card playoff team. Though they lost a heartbreaking 1-0 decision to the Toronto Blue Jays, the 2016 Orioles had something to look forward to. Most of all, the 2016 team could rake! 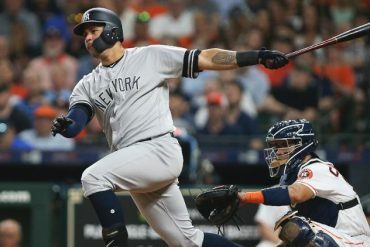 23-year old third baseman Manny Machado, one of the top-10 position players in the game, led the squad with a team-high .876 OPS, along with 37 HR, 40 doubles, and 96 RBI. Outfielder Mark Trumbo slugged 47 home runs and knocked in 108 runs, both tops on the team. Slugging first baseman Chris Davis contributed 38 home runs and 84 RBI, while outfielder Adam Jones hit 29 dingers to go with 83 RBI. Second baseman Jonathan Schoop had a break out year with 25 HR and 82 RBI, and DH Pedro Alvarez hit 22 home runs in 337 at-bats. The starting rotation had a good 1-2 punch of Kevin Gausman and Chris Tillman, and the Orioles had one of the best closers in the game in Zack Britton. In fact, the bullpen was solid with Brad Brach and Mychael Givens striking out better than 10 batters per nine innings pitched. The team appeared to be on solid ground with an eye on future playoff series but then the bottom fell out. The Orioles hit the full reset button on the franchise with the light at the end of the tunnel nowhere in sight. They hired Mike Elias as the new GM (after dumping Executive VP of Baseball Operations Dan Duquette) and replaced Showalter with first-time manager Brandon Hyde. Machado, Britton, Gausman, Jones, Brach, and Schoop are all gone from the roster. Davis and Trumbo are the holdovers and both are a shell of their former selves. 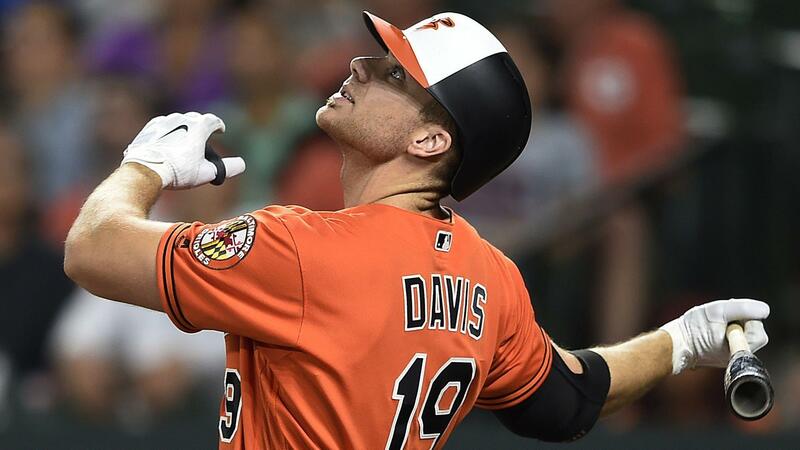 Davis, who smacked 53 home runs in 2013 and 47 in 2015, hit rock bottom last season with a split of .168/.243/.296 in 522 plate appearances. His all or nothing swing became a lot of nothing – Davis averaged 201.7 strikeouts over the last four seasons. To make matters worse, in January 2016 the Orioles gave their first baseman a seven-year, $161M contract, which was initially met with praise. Now, everyone is shaking their heads at the thought of paying Davis $23M a year through 2023. Trumbo followed up his big year with a WAR of -0.5 in 2017 and 0.3 last year. 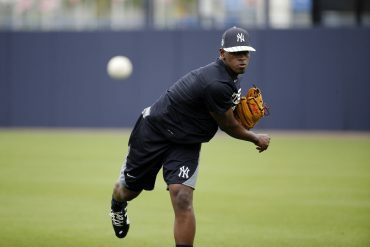 He started the season on the 60-day Injured List as he continues to recover from knee surgery. One of the previous administration’s last moves was to sign Alex Cobb to a four-year $60M contract during the 2018 Hot Stove. As with Davis’ contract, it appeared to be a great move at the time, but Cobb flopped in his first season with the O’s and is currently on the Injured List. 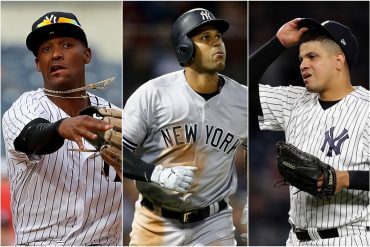 The team now resembles the Kansas City Royals squads of the early part of the 21st century…a mix of mediocre veterans and not ready for prime-time kids. 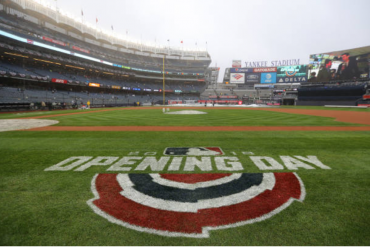 With 57 games against the Yankees, Red Sox, and Rays, the Orioles will be lucky to win 50 games this season, which would still be an improvement over the 47 they won last year.